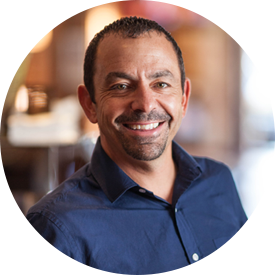 James helped open Bistro Bella Vita back in 1996 and formed Essence Restaurant Group with his partners Executive Chef Patrick Wise and Jeffrey Gietzen in 2006 to become owners and operators of Bistro Bella Vita, The Green Well and Grove. His goal is to continue to build a collection of restaurants that foster a socially conscious environment and healthy lifestyle for all those who contribute to them. Chef Patrick Wise began his career at Essence Restaurants as an apprentice at Bistro Bella Vita in 1997 and then went on to become the Executive Chef in 2001. After becoming a partner of Essence Restaurant Group in 2006 and then Executive Chef at Grove in 2011, he has now accepted the title of Chief Culinary Officer for Essence Restaurant Group. 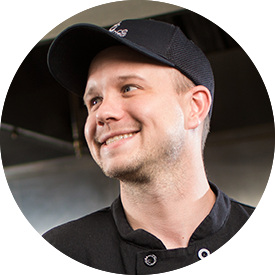 Check Patrick oversees all aspects of the food operations at each Essence Restaurant Group establishment.